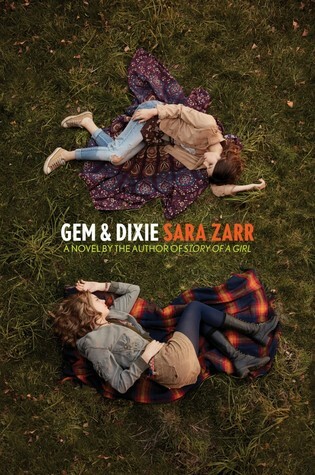 Gem & Dixie is the new novel from renowned young adult author and National Book Award finalist Sara Zarr—a deep, nuanced, and gorgeously written story about the complex relationship between two sisters from a broken home. Gem has never known what it is to have security. She’s never known an adult she can truly rely on. But the one constant in her life has been Dixie. Gem grew up taking care of her sister when no one else could: not their mother, whose issues make it hard for her to keep food on the table; and definitely not their father, whose intermittent presence is the only thing worse than his frequent absence. Even as Gem and Dixie have grown apart, they’ve always had each other. When their dad returns for the first time in years and tries to insert himself back into their lives, Gem finds herself with an unexpected opportunity: three days with Dixie, on their own in Seattle and beyond. But this short trip soon becomes something more, as Gem discovers that to save herself, she may have to sever the one bond she's tried so hard to keep. I always enjoy stories about strong sister bonds, maybe because I have a little sister and we're very close. I also love Seattle, so what more could I want from this book? Definitely a 2017 publication I want to check out.